The first problem with AR15 maintenance and gunsmithing work is the little spring or detent that pops out and falls into that black hole under the workbench! This Parts Kit - of all the most critical springs, detents, inserts and pins - will get your gun back to full function in short order. 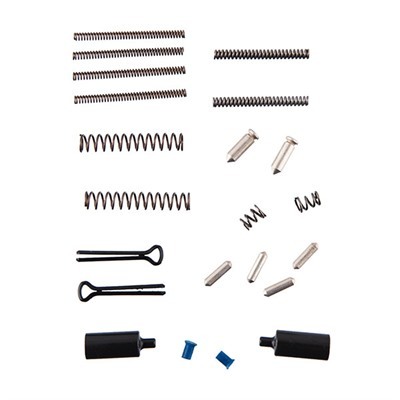 Kit includes: takedown detent (4), takedown springs (4), firing pin retaining pin (2), buffer retainer (2), buffer reatiner spring (2), safety detent (2), safety/ejector spring (2), extractor spring & buffer (2). Mfg: Bushmaster Firearms Int.Llc.